Get a rustic Ranch feel in your New York City Apartment or your Boise Idaho Farm. 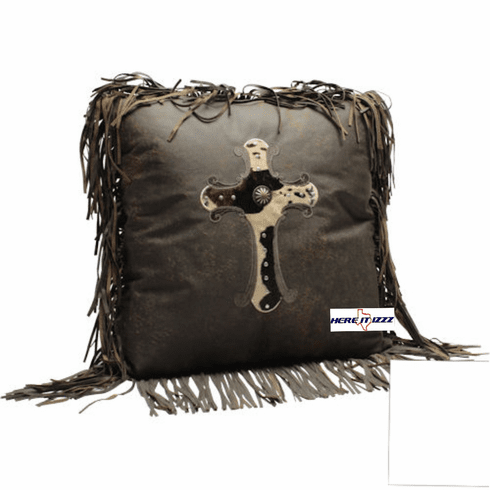 This pillow measures 18x18 and comes complete with 3 inch fringe around the edges. This pillow looks amazing almost like genuine leather. The cowhide cross resembles natural hair on cowhide.